Christophe Claret pays tribute to Aventicum, the ancient capital of Roman Helvetia, and its museum. One of the many treasures to have been excavated here is a solid gold bust of Roman emperor Marcus Aurelius. The watchmaker has reproduced this bust and placed it at the centre of the dial, in the form of a gold micro-sculpture. Less than 3 millimetres high, this likeness is magnified using an astonishing optical system known as the mirascope: two parabolic mirrors are positioned one above the other; the topmost mirror has a hole in its centre. The object to be viewed is placed on the bottom mirror, reflected by light rays, and magnified to twice its size. The bust appears to be projecting out of the dial. 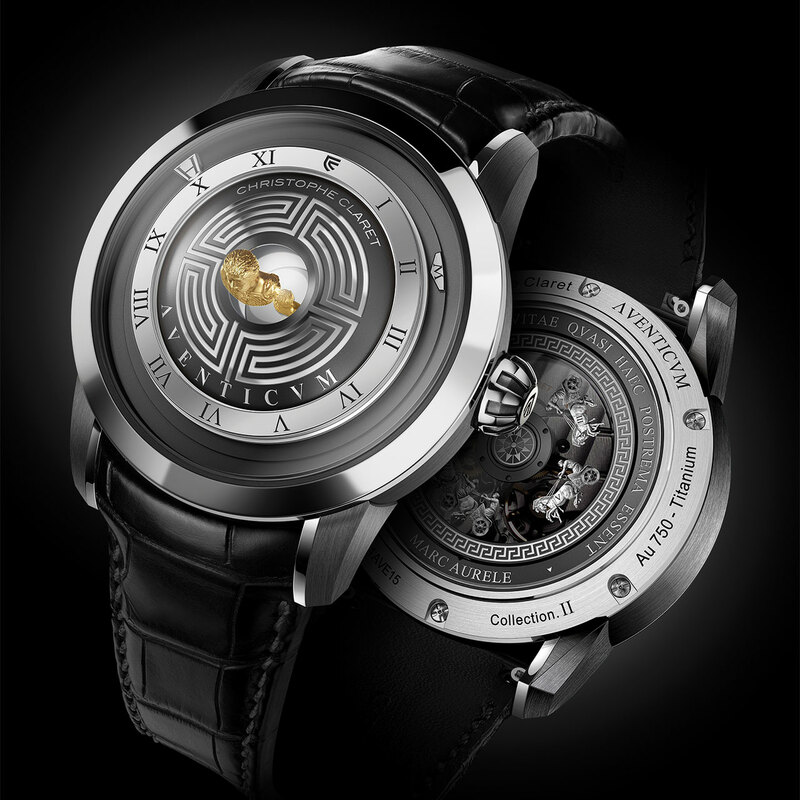 Each of the watch's decorations is inspired by Roman art, such as the patented sapphire oscillating weight that is embellished with five racing chariots. 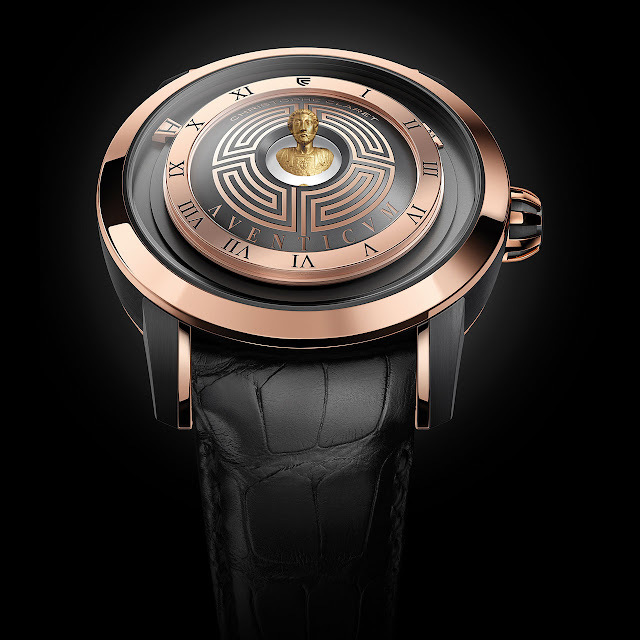 Aventicum is proposed as two limited series with 68 pieces in pink gold and 38 in white gold.